The conference will feature interactive sessions led by ISA’s power generation, alternative energy, municipal water, and industrial water experts, and will explore technologies and best practices that apply to multiple infrastructure sectors. The ISA Energy & Water Automation Conference, slated for 7-8 August 2019 at the Omni Championsgate Resort in Orlando, Florida, will feature interactive sessions led by ISA’s power generation, alternative energy, municipal water, and industrial water experts. The conference program will feature technologies and best practices that apply to multiple infrastructure sectors. Today’s challenges include leveraging data analytics in a meaningful way, navigating the new world of IIoT with safety and cybersecurity in mind, and applying the insights of recent Smart Cities Initiatives to improve operations. These challenges—and many promising best practices—are relevant for several industry sectors, and this unique event will bring people together to move everyone forward. The International Society of Automation (http://www.isa.org) is a nonprofit professional association that sets the standard for those who apply engineering and technology to improve the management, safety, and cybersecurity of modern automation and control systems used across industry and critical infrastructure. 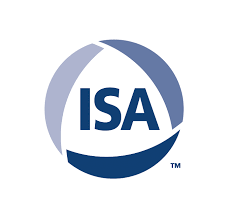 Founded in 1945, ISA develops widely used global standards; certifies industry professionals; provides education and training; publishes books and technical articles; hosts conferences and exhibits; and provides networking and career development programs for its 40,000 members and 400,000 customers around the world. ISA owns Automation.com, a leading online publisher of automation-related content, and is the founding sponsor of The Automation Federation, an association of non-profit organizations serving as "The Voice of Automation." Through a wholly owned subsidiary, ISA bridges the gap between standards and their implementation with the ISA Security Compliance Institute and the ISA Wireless Compliance Institute.